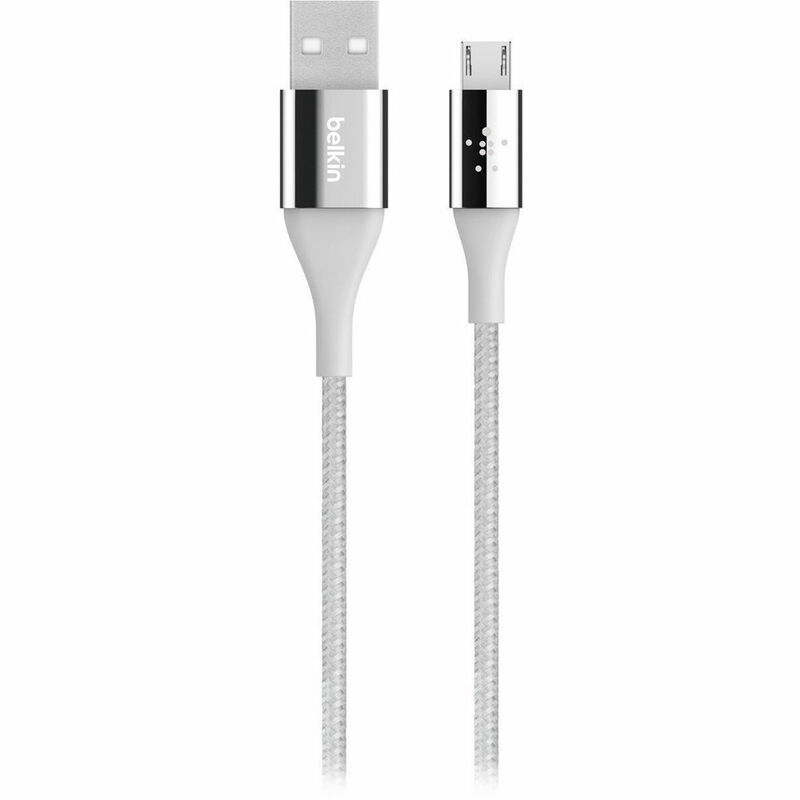 Charge your micro-USB gear with the Mixit DuraTek Charging Cable from Belkin using a typical USB port from your wall charger or computer. This cable is 4' long and has a silver design. With up to 2.4A of charging, the Mixit DuraTek can quickly recharge a power-hungry device utilizing a supported charger. For protecting the cable from various charging situations, the cable features drain wiring, shielded braiding, and Mylar shielding. Kevlar-reinforced conductors and flexible strain reliefs are also on board to prevent damage from daily connects and disconnects. Moreover, the cable is equipped with a double-braided nylon exterior and thermoplastic elastomer jacket, which provides flexibility. Box Dimensions (LxWxH) 5.5 x 4.0 x 1.2"
Mixit DuraTek Micro-USB to USB Type-A Charging Cable (4', Silver) is rated 2.0 out of 5 by 5.